The module outlines the motivations for PtD, encourages inclusion of worker health and safety considerations early in the design process, and identifies hazards associated with the construction of reinforced concrete. Topics include the reinforced concrete design, detailing, fabrication and erection processes. 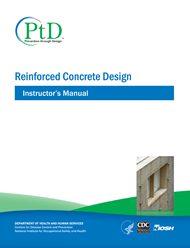 Examples are provided to enable structural engineers and detailers to incorporate PtD into their reinforced concrete designs.